Allegheny Conference on Community Development www.alleghenyconference.org This is the premier regional think tank on business and governmental cooperation. It has as affiliates the Pennsylvania Economy League (research arm), the Pittsburgh Regional Alliance (marketing arm), and the Greater Pittsburgh Chamber of Commerce (advocacy arm). It offers a wide array of business services and is a great place to get started for serious plans. Catalyst Connection www.catalystconnection.org This is a regional nonprofit economic development organization devoted to advancing the performance of manufacturing companies in Southwestern Pennsylvania. They promote best practices and offer many technical services for business. Economic Growth Connection of Westmoreland www.egcw.org The Economic Growth Connection works in cooperation with governmental agencies, chambers of commerce and financial institutions to support emerging and expanding companies in Westmoreland County. It offers assistance to companies considering a location in Westmoreland County. Fay-Penn www.faypenn.org Fay-Penn is Fayette County’s private economic development council. They help businesses locate in Fayette County and promote economic development. Fayette Chamber of Commerce www.fayettechamber.com This is a very active chamber located in Uniontown. Excellent networking and business promotion for central Fayette County. This is Pittsburgh’s largest chamber and an affiliate of the Allegheny Conference. They offer all types of site selection services and other economic development services. Greene County Industrial Developments, Inc. www.gcidc.org This is Greene County’s private economic development council. They own and offer sites at the Evergreen Industrial Park in Waynesburg. Mon Valley Progress Council www.monvalleyprogress.org Private group that advocates for the Mon Valley Expressway and assists local companies with technical, financial, and site location issues. Mon Valley Regional Chamber of Commerce www.mvrchamber.org The Mon Valley Regional Chamber of Commerce serves the business community of Greater Charleroi and the Mid Mon Valley Region of Southwestern Pennsylvania. Pennsylvania Chamber of Business and Industry www.pachamber.org This chamber is the statewide voice of business. They advocate for business and host many events. calendar.org This web page displays numerous educational and networking events of interest to business. Pittsburgh Prospector www.pittsburghprospector.com This website is provided by the Pittsburgh Regional Alliance, and is free. It is a website that allows users to identify available commercial properties in Southwestern Pennsylvania. The website also provides data including workforce demographics, business information and interactive maps. Pittsburgh Regional Alliance www.alleghenyconference.org/PittsburghRegionalAlliance/ This is the Allegheny Conference’s marketing affiliate. Their web page is a great way to become educated about the Pittsburgh region. Pittsburgh Technology Council www.pghtech.org A private organization dedicated to help our region’s technology companies succeed through business development, talent retention, government relations, and visibility services. Southpointe CEO Association www.southpointe-ceo.org A private nonprofit business support and promotion group located in and focused on Southpointe, a prominent business part south of Pittsburgh and home to many energy companies. Washington County Chamber of Commerce www.washcochamber.com The premier chamber south of Pittsburgh. They are involved in every aspect of economic and business development. A must join for aspiring businesses in Washington County. Washington County Council on Economic Development www.washingtoncountypa.org A private economic development organization offering various services. WCCED owns and offers the Starpointe Business Park, a huge light industry park in northwestern Washington County. Washington County Economic Development, Inc. www.washingtoncountyworks.com This is a joint venture between the Washington County Chamber of Commerce and the County of Washington. A one-stop shop for those seeking to do business in Washington County. It also administers a variety of financing programs through its affiliates WIDC and WCIDA. Washington County Energy Partners www.energycapitalonline.com A Washington County consortium of leading economic development organizations, elected officials, and private companies dedicated to bringing energy related economic development to Washington County. Washington County Industrial Development Authority www.washingtoncountyworks.com WCIDA is an authority established to provide economic development incentives for businesses in expanding in Washington County. It provides tax exempt financing and taxable bonds. WCIDA is administered by the Washington County Economic Development Partnership. Washington Industrial Development Corporation www.washingtoncountyworks.com WIDC provides low interest loans for construction that adds jobs. Financing provided by the State. WIDC has been designated as Washington County’s recipient for the Local Economic Development Assistance program. It also does marketing for the County. WIDC is administered by the Washington County Economic Development Partnership. Waynesburg Chamber of Commerce www.waynesburgchamber.com This is the most active chamber in Greene County, located in Waynesburg, the county seat of Greene County. Energy Alliance of Southwestern Pennsylvania www.energyalliancegreaterpittsburgh.com A private energy promotion group determined to pursue making the Pittsburgh region the center of all types of energy. Composed of leading corporations in the energy field. This organization is administered by the Allegheny Conference on Community Development. Marcellus Shale Coalition www.marcelluscoalition.org This is a new gas industry advocacy group. It has an impressive membership list and is likely to be the most important industry group for coordination on Marcellus gas related issues. NAIOP (National Association of Industrial & Office Properties) www.naioppittsburgh.com NAIOP is the national trade association for the commercial real estate industry. It has an active Pittsburgh chapter which offers valuable networking and educational services for those interested in commercial real estate. PIOGA (Pennsylvania Independent Oil & Gas Association) www.pioga.org This is the trade association of the natural gas industry in Southwestern Pennsylvania. They offer valuable networking and educational services for those interested in the Marcellus Shale activity. U. S. Chamber of Commerce www.uschamber.com The world’s largest business federation representing three million business organizations. manufacturersassociation.com Trade association which enhances the industrial climate of Washington County and the professional knowledge of its members. Engages in networking, lobbying, and benchmarking. Washington - Greene Association of Realtors www.wgar.org The Washington-Greene Association of REALTORS® (WGAR) has proudly served the real estate professionals of Washington and Greene counties in Southwestern Pennsylvania and the public since 1925. WGAR is The Voice of Real Estate in the counties and represent more than 350 members and affiliates. California University of Pa. Government Agency Coordination Office www.calu.edu/business-community/government-agency-coordination-office California University maintains a procurement technical assistance center that assists companies to pursue government contracts and export opportunities. Affiliated with the Mon Valley Renaissance. Duquesne University Small Business Development Center www.sbdc.duq.edu Duquesne maintains a small business development center to provide technical and management assistance to small businesses, such as free confidential consulting services. Duquesne concentrates on the northern Pittsburgh metro area and the Mon Valley. Economic Development Information Network www.pasdc.hbg.psu.edu EDIN is a tool designed to assist Pa.’s businesses by providing economic and census data free of charge. University of Pittsburgh Small Business Development Center www.entrepreneur.pitt.edu/sbdc Pitt has the most active and prominent small business development center, affiliated with the “Institute For Entrepreneurial Excellence”. Pitt offers consulting services and educational programs to fuel the establishment and growth of small businesses in Western Pennsylvania. They have outreach offices in Washington and Waynesburg. A must stop for all new and growing businesses. W&J College-Center for Economic Development www.washjeff.edu W&J College maintains a small business center that offers free and confidential consulting services in many disciplines. Waynesburg University Center for Research and Economic Development www.waynesburg.edu Waynesburg University has a Center For Research And Economic Development. They make facilities available to businesses and otherwise plan to improve the business environment. Ben Franklin Technology Partners www.benfranklin.org One of the nation’s most successful technology based economic development programs providing early stage companies with funding and business assistance and access to a network of experts. It maintains an office in Pittsburgh. Greene County Industrial Development Authority www.co.greene.pa.us The Authority’s concentration is on economic development. GCIDA offers financial assistance through bond issues, such as PIDA, MELF, and bridge financing. It also offers a one stop shop for site selection in Greene County. Innovation Works www.innovationworks.org This organization fuels technology economy in Southwestern Pennsylvania through direct investments and business expertise. Affiliated with Ben Franklin. Pennsylvania CareerLink www.pacareerlink.state.pa.us If you are looking to maintain or increase your workforce in Pennsylvania, CWDS enables you to browse our database for potential employees, create job postings online to attract today’s top talent, research current economic and labor market information, and find out about additional services available to assist your business. Pennsylvania Department of Community and Economic Development www.newpa.com This is the state’s main department devoted to helping business succeed. It offers a wide array of services and financing and is a must stop for new businesses. Pennsylvania Open For Business www.paopen4business.state.pa.us This web site gives entrepreneurs “one stop” access to business information necessary to start or expand a business in Pennsylvania. This site allows electronic registration for businesses and other forms and publications. Redevelopment Authority of Washington County www.racw.net This is a large and important economic development agency in Washington County. They were responsible for the development of Southpointe. They administer a large number of programs of value to business. A must stop. SCORE www.score.org This is an affiliate of the Small Business Organization. It offers free mentoring services from retired business executives. Small Business Administration www.sba.gov This is the federal governments main agency devoted to helping business. It offers a mind boggling array of services on a national basis. Social Security Administration http://www.socialsecurity.gov Planning to retire soon? Then the time to apply for benefits is now, and the most convenient way is to apply online! Avoid the traffic, finding a place to park and the lines. Just log on to your home computer or office computer. Visit www.socialsecurity.gov and apply online. Team Pennsylvania Foundation www.teampa.com A public/private partnership that initiates and supports programs to improve PA through business attraction and growth, education and workforce development, and government efficiency. Team Pa operates the PaSourceNet Business Directory, with provides information on supplier and sales leads. Washington County Authority www.co.washington.pa.us The Washington County Authority is a quasi governmental agency that owns and administers certain real estate projects. It owns and is developing “Southpointe II”. Business.Gov www.business.gov The official business link to the US Government. Forms, programs, registration, and advice. US Department of Agriculture www.usda.gov USDA has a “Rural and Community Development” function that financing a wide variety of activities. They are active lenders. All Business www.allbusiness.com A subsidiary of Dun & Bradstreet, this web page offers loads of resources and advice for business. American Express www.openforum.com American Express maintains a web site chock full of current articles and commentary about issues relevant to business. Great place to browse. community.bankofamerica.com Bank of America is a pioneer in developing a virtual small business community. You can sign up for free and participate in forums and blogs about small business. Bridgeway Capital www.bridgewaycapital.org A community development financial institution, Bridgeway provides capital and educational opportunities to entrepreneurs across western Pennsylvania. Bridgeway is active in providing gap financing. 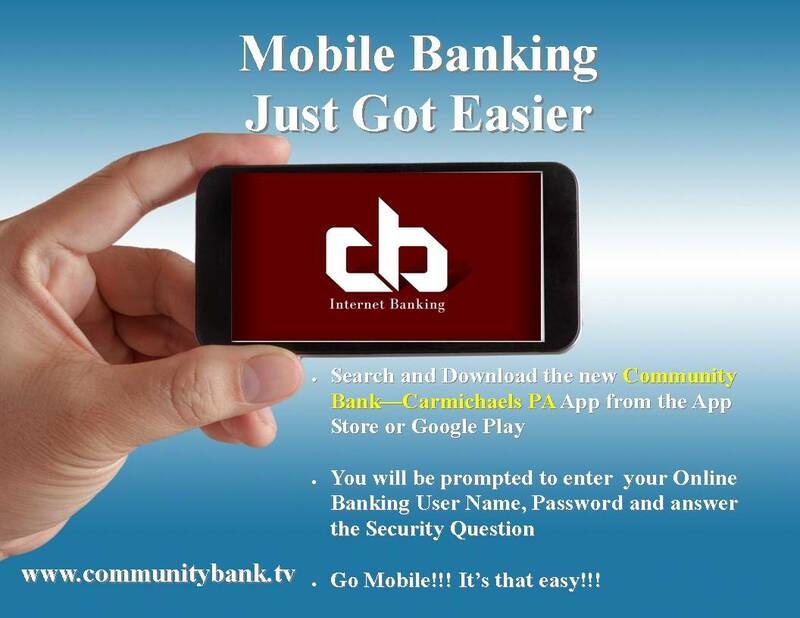 Community Bank www.communitybank.tv Local independent commercial bank dedicated to helping local businesses succeed. morebusiness.com www.morebusiness.com This is a huge and modern web site with reams of free articles and blogs about business issues. Very well done. Pittsburgh Business Times www.pittsburgh.bizjournals.com This private weekly newspaper is the fountain of information and gossip about the Pittsburgh regional business scene. Small Business Advocate www.smallbusinessadvocate.com Award winning expert on small business offers advice and resources. Startup Nation www.startupnation.com A free service devoted to helping entrepreneurs. Features articles and forums. Tri County Oil & Gas Expo www.tricountyoilandgasexpo.com A volunteer organization of local citizens in business, education and government working together to provide information to the public regarding the impact of the oil and gas industry in our region.